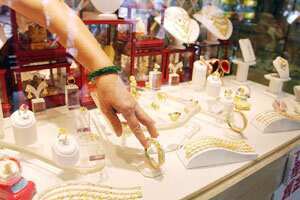 New Delhi: Gold dipped below the psychological Rs29,000-level in the bullion market here on Wednesday on sustained selling by stockists in tandem with a steep fall in precious metals in global markets. Traders said selling in gold gathered momentum after it slumped to a seven-week low in global markets, as the dollar’s rally eroded demand for the precious metal as an alternative investment. Gold plunged by $34.40 to $1,630.90 an ounce, while silver lost 1.44% to $30.84 an ounce in New York last night. In addition, retail customer’s refrained from purchasing the precious metals at existing higher levels, which further dampened the sentiment. Back home, gold of 99.9 and 99.5% lost Rs100 each to Rs28,940 and Rs28,800 per 10 grams, respectively. The metal has lost Rs290 in last two days. Sovereign held steady at Rs23,300 per piece of eight grams. Likewise, silver ready declined by Rs200 to Rs55,800 per kg and weekly-based delivery shed Rs5 to Rs56,415 per kg. Silver coins dropped by Rs1,000 to Rs62,000 for buying and Rs63,000 for selling of 100 pieces.